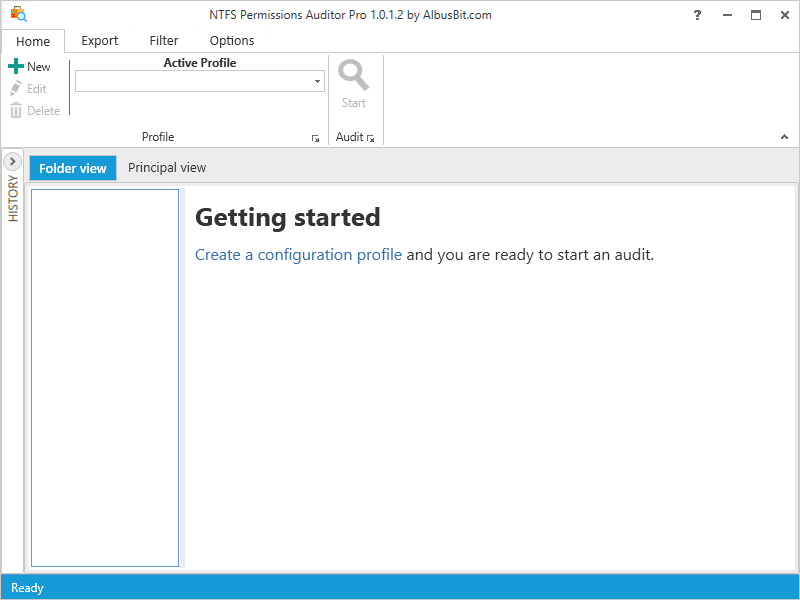 Once NTFS Permissions Auditor is installed and activated you can run it using the desktop shortcut. 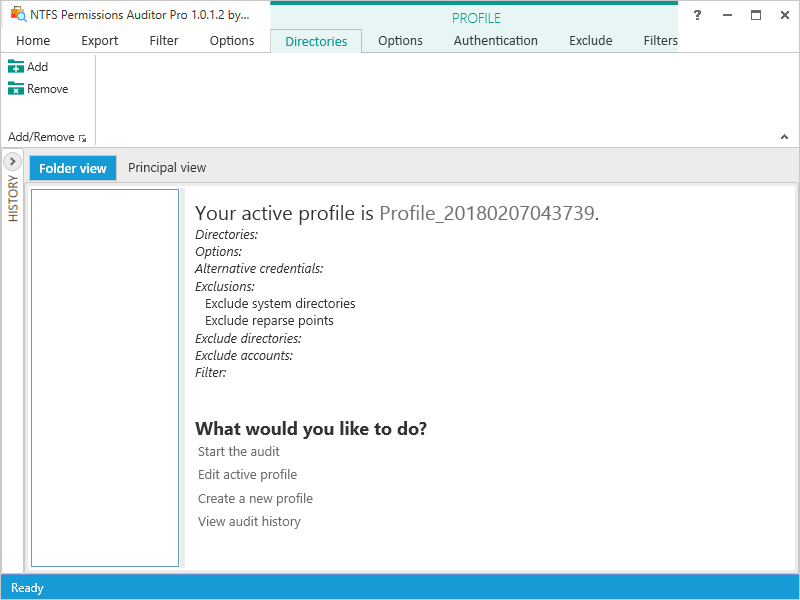 Press Create a configuration profile. 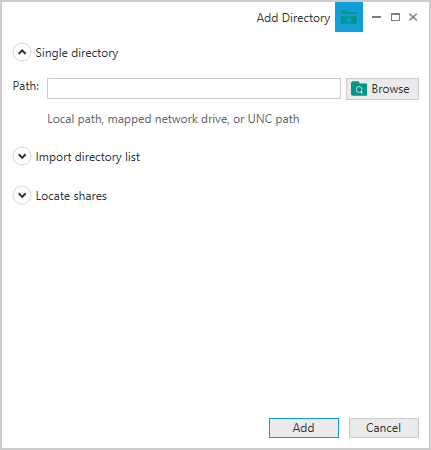 Enter directory path or browse to find directory you want to audit. Go to Home tab and press Save. Enter profile name or leave default. Press Save. 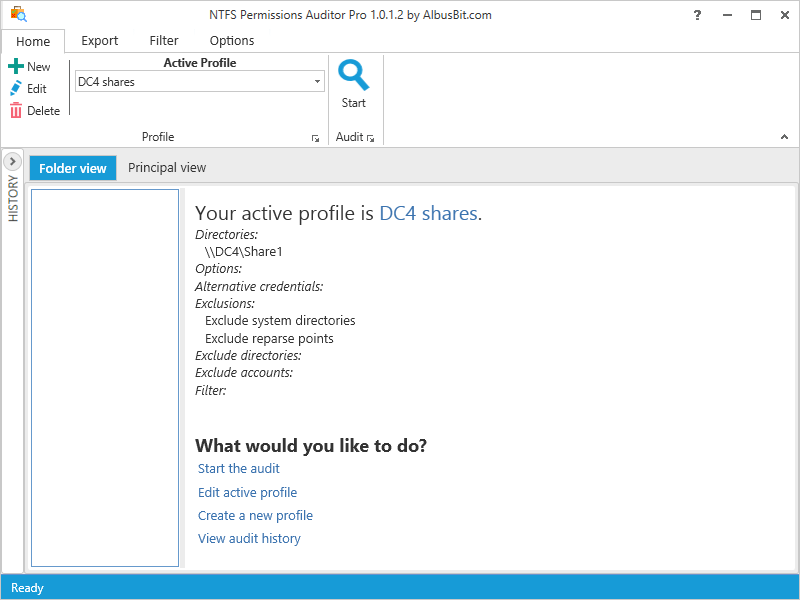 Now you are ready to audit your first directory. Press Start and wait for your first report.